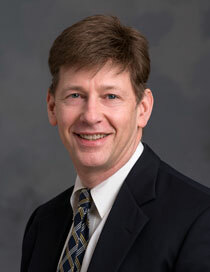 John McMasters is a partner with the firm with over 30 years of experience in law. His practice concentrates on real estate, estate planning and probate, corporations, and limited liability companies. John graduated from Shorecrest High School and attended the University of Washington, graduating with a B.A. in Business Administration with a concentration in accounting. John obtained his law degree from the Boston University School of Law, and a second law degree specializing in taxation from the New York University Law School. Following his graduation, he practiced in the area of taxation with KPMG Peat Marwick, LLP and was licensed as a CPA in the State of Massachusetts. He has served on the finance committees and boards of several charitable and civic organizations. Real Estate - John McMasters prepares real estate purchase and sale agreements on behalf of "for sale by owner" transactions, prepares condominium purchase and sale agreements, prepares easements, reviews title reports with clients, and prepares both commercial and residential easements and commercial and residential leases. Additionally, John counsels clients regarding easements, covenants, and encumbrances. John also prepares premarital and postmarital agreements, cohabitation agreements, and other agreements regarding the status of property. Estate Planning - John advises clients on all aspects of estate planning, including intergenerational planning, gifting, and estate matters and drafts all the necessary documents to implement a comprehensive estate plan, including community property agreements, last will and testaments, durable powers of attorney, health care directives, and revocable living trusts. John also represents fiduciaries and beneficiaries in the administration of trusts and estates, including probate and non-probate administration. He also assists individuals in the preparation of prenuptial agreements and trust dispute resolution matters.